Seventeen of the participants are female coaches, with five males also attending, and they are all responsible for a team currently participating in the newly launched women’s league. The Governor of Vavaú, Lord Fulivai who officially opened the course, said he was so pleased to witness FIFA’s efforts in trying to promote and boost equality at every level, not only in administration but also in key coaching and technical positions. “Without doubt, FIFA strongly supports gender equality which must be advanced in every area and at every level,” Lord Fulivai says. “Women from Vava’u are strong and people love 0visiting our shores because of their strength and beauty. 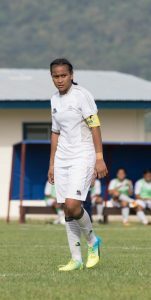 Women’s football will continue to improve and grow in the Lolo á Halaevalu,” he added. 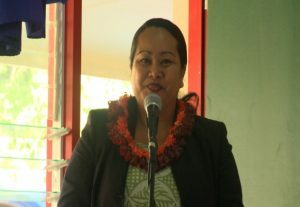 Sulieti Kaufusi, head coach for the Liviela football team, says undertaking this course clarifies the bigger picture in terms of women’s football. “At the completion of this course, I hope to work closely with their U-12 girls as this is the right time to nurture them until they’re over 16,”. The Instructor of the course is Nicola Demaine, OFC Women’s Football Development Officer and also a FIFA Instructor. Kilifi Uele, the technical director is assisting Demaine. We are all grateful to Ms. Manatu Liava’a, the Vava’u Executive Officer, and her team for the successful organisation of the course. FIFA Women’s Football Administration Workshop for five days!